The slot machine More Chilli will be well known to some of the readers at Gamingslots.com. It is one of slot developer Aristocrat's most popular casino slots and is commonly found in casinos in America, Europe and Australia. I, personally, am very excited to see this slot makes its arrival onto the online genre. I once came across it at a casino on holiday and enjoyed some success on it so it holds a place in my heart... for obvious reasons! Through a licensing deal with GameAccount Network, this popular 5 reel slot has been released online and is almost identical to the land-based version. This is something that can often be a trick missed by slot developers. They spend so much time trying to convert a popular land-based slot into an online format that they over-complicate it and it's a treat to see that Aristocrat have stayed true to More Chilli's land-based roots. 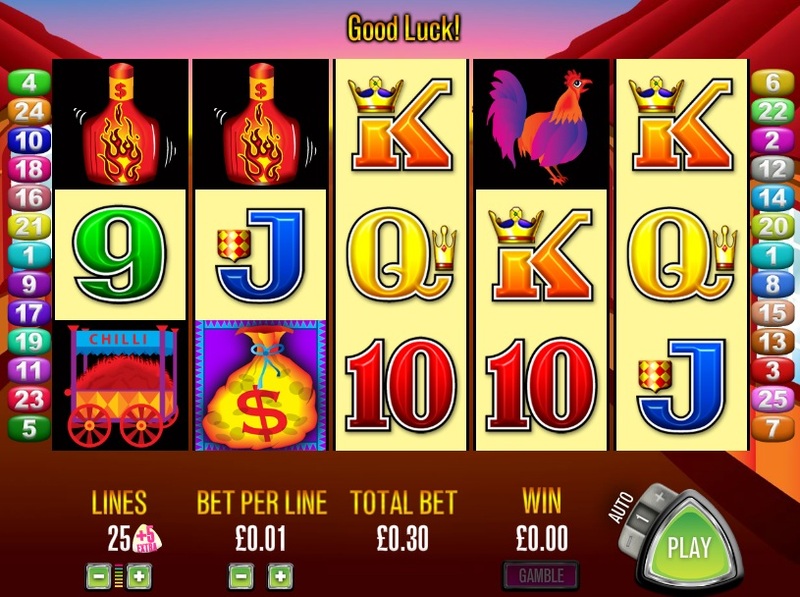 When I first wrote about this slot game I was convinced it was a one off, but a knowledgeable reader informed me that there is a clone of More Chilli, aptly named More Hearts. Although the games have different themes, the bonus rounds are pretty much identical. The bonus round in More Chilli is triggered by landing 3 or more Scatters anywhere on screen. This will reward you 12 free spins or 15 free spins if you opted to play the added 5 paylines (more details about this below). The screen then divides into four and two games will be running consecutively. 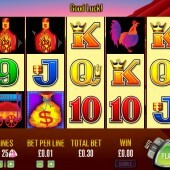 To add the third and forth game windows you will need to reach 9 chillies and then 14 chillies during the free spins. My aim is always to get four screens running as quickly as possible, however this is not always achieved. As mentioned in the previous chapter, More Chilli has an interesting option of adding an extra 5 pay-lines to your bet. I strongly recommend you do this as it will increase the number of free spins you win as well as increasing the RTP (return to player) by over 5%. It may not seem much, but why would you forsake 5% if it cost you nothing extra to have it - a no brainer really. If you like More Chilli then you might enjoy an equally quirky game called Where's the Gold. In that slot you will join a team of prospectors as they aim to seek out the riches in a gold mine with a few surprises. More Chilli is definitely a game I had fun playing and I would recommend it to anyone that loves Aristocrat slots.